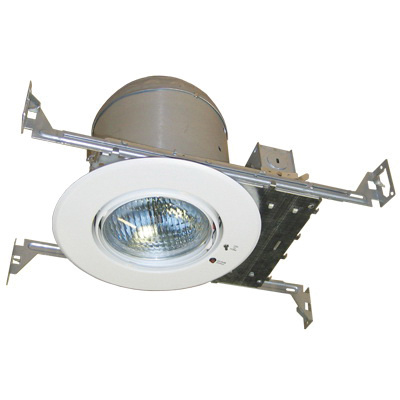 Lithonia Lighting Emergency recessed gimbal unit has metal housing and gimbal for durability. It uses 8-Watt halogen lamp for energy efficiency. The Emergency recessed gimbal unit has a voltage rating of 120/277-Volts AC, current rating of 0.052-Amp at 120-Volts AC, 0.023-Amp at 277-Volts AC and power rating of 5.8-Watts at 120-Volts AC, 5.9-Watts at 277-Volts AC. It includes sealed lead calcium battery for 90-min emergency lighting. It is ideal for applications requiring unobtrusive emergency lighting. Emergency recessed gimbal unit meets UL 924, NFPA 101 and NFPA 70-NEC Standards.